Today on the Mother Hub Meets we're chatting to Nicola Chantler - founder of the Chelmsford-based Little Yoga Studio. We first heard about Nicola's wonderful yoga classes for kids at the very start of our Mother Hub journey just over a year ago. We had been researching women in business in Essex and loved Nicola's concept of a yoga studio dedicated entirely to children. Her career journey is truly inspiring - formerly an editor at Express Newspapers and Yahoo!, Nicola set up the Little Yoga Studio after being made redundant and spotting a big gap in the market... and the rest is history! 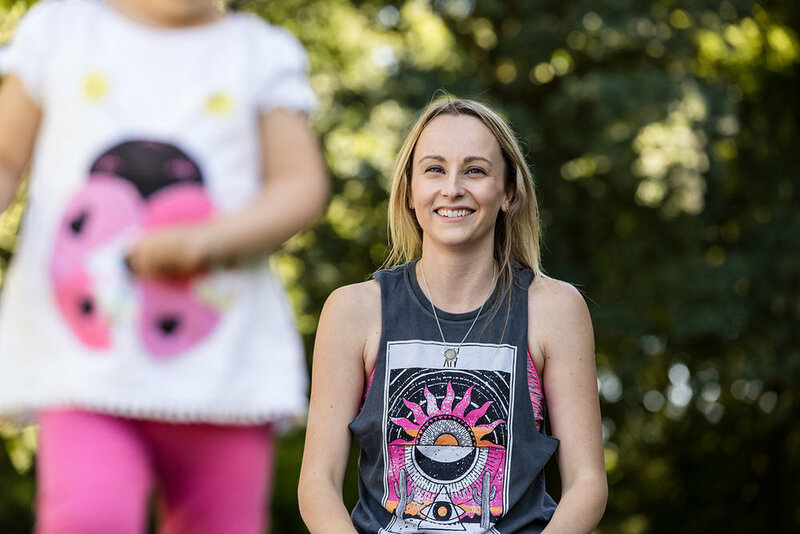 We're so happy to finally be sharing Nicola's story, along with her top tips for encouraging mindfulness in children. Tell us a little bit about your background and the story behind The Little Yoga Studio? I've been practicing yoga for almost 15 years, but it took on a new meaning after the birth of my daughter. I'd had a busy career working in London - first as Deputy Online Editor at Express Newspapers and then as Editor of Lifestyle at Yahoo! - and really enjoyed my weekly yoga classes. But during my pregnancy and once my daughter was born, it took on a deeper meaning. I just felt I mentally connected with my practice in a different way. Taking to the mat became a way to ease my tired new mum mind and weary body. And when I was made redundant, a way to deal with all the worries of my future. Having always practiced around my daughter, she naturally started to become inquisitive. Soon she was joining in and it became a regular activity for the two of us to enjoy together. It dawned on me how fun it would be to go to a class and do yoga together, but after a lot of searching, I realised there weren't any classes for children's yoga in our area. So I started researching for courses I could take to set up some myself. It was then I found Yoga Bananas, which specialises in teaching yoga and mindfulness to children aged 3-11. Of all the courses and training I've ever undertaken, learning to teach children yoga stories such as the 'Deep Sea Diving Adventure' and how to relax like 'Sleeping Dinosaurs' was by far the most fun! And so Little Yoga Studio was born. My aim is to teach children the joys of yoga - both mentally and physically - so they can create some space for themselves. A way to deal with the ups and downs of childhood; the stresses put them on school and to develop their own ways of coping with whatever is going on in their little world. And most of all, to have fun and be creative! Really every time my little yogis come bounding in to class with so much energy and finish their practice with big smiles on their faces, I feel so happy to be doing what I'm doing. Children have such fantastic energy that's a pleasure to be around; it's great watching them learn a new pose and then see the most energetic of the bunch really feel into their relaxation practice. As children's and adult yoga is so different, I have had a few comments such as 'Oh my son would never sit still for all that time!' When actually, I totally agree - young children, boys in particular, aren't designed to sit still! My classes are designed to get children moving. There's a lot of energy being channelled in a 30-minute session and it's my job to capture their imaginations with creative stories and songs as we work through poses. So when it comes to our mindfulness and relaxation practices, they're eager to take some time. And then parents are amazed that they'll lie down to relax! So changing perceptions can be tough. That what is done in love, is done well. Could you give us your top tip to encourage mindfulness in children? Children love to copy what their parents are doing, so don’t shy away from letting them see you meditate or taking some time for yourself. A great way to start is just getting them to notice their own breath. A simple breathing exercise like getting them to place their hands on their heart after they’ve been racing around and asking them to take three long inhales and exhales to slow it down sparks their interest. Then you can try placing a toy - a rubber duck works - on their tummies while they lie down and getting them to practice filling their tummies with air and watching the toy go up and down. 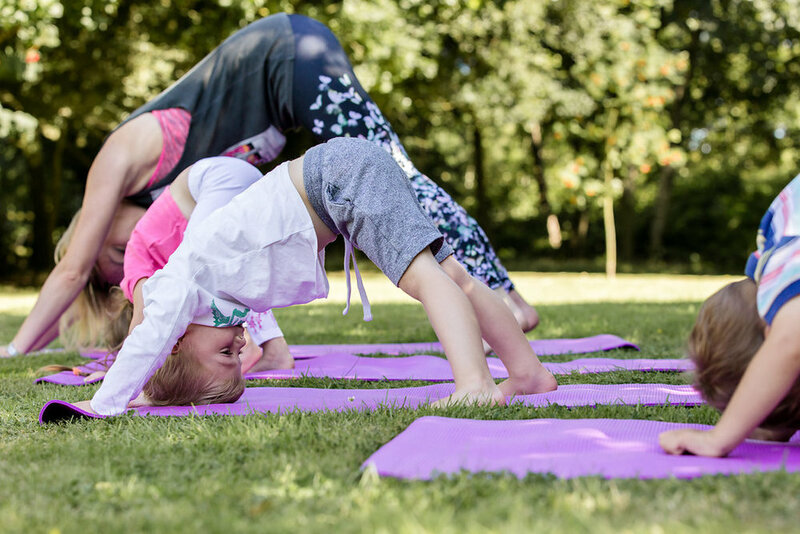 If you are local to Chelmsford and would like to find out more about Nicola's yoga classes for kids, check out the Little Yoga Studio website. You can also find the Little Yoga Studio on Facebook and Instagram.